If you like folk music and finding common ground with people (Lord, knows we need it today! ), then you'll enjoy this convo with Erin Mae Lewis, my friend, student and fellow musician! Erin Mae Lewis is a mountain dulcimer virtuosa who has taken an obscure American folk instrument, and with it has developed a high level of technical proficiency and musical expression. Erin has been playing for over twenty years and in that time has developed a unique and progressive style. Erin Mae is a cancer survivor -- and played her mountain dulcimer through every chemotherapy treatment. She firmly believes that her music and faith were paramount to her healing. Erin strives to let her music and story act as a beacon of light for those going through difficult times. You can hear that passion as Erin Mae culls from her instrument music which lifts the spirit and heals the soul. 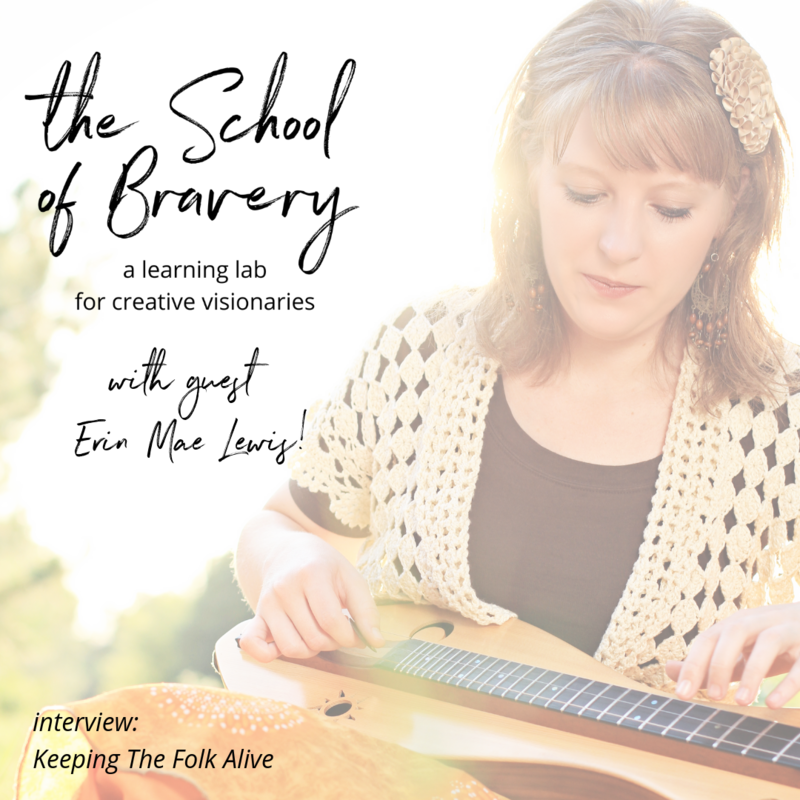 Emily Ann Peterson is a singer/songwriter and bestselling author of "Bare Naked Bravery: How to Be Creatively Courageous." She also founded The School of Bravery where she teaches bravery skills to creative visionaries. Her audience is found in Fortune500 companies, concert venues, bookstores, and living rooms around the world.